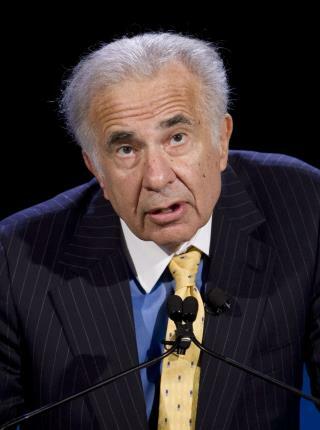 (Newser) – Billionaire investor Carl Icahn—who once worked as a "special adviser" to President Trump—dumped about $31 million of shares in a company that depends on steel imports just days before Trump announced tariffs on steel imports, the Guardian reports. On February 12, Icahn began selling his shares in crane and lifting equipment supplier Manitowoc Company for $32 to $34. A few days later the Commerce Department recommended steep tariffs and import quotas on steel. Then Trump threatened a trade war Thursday and Manitowoc tumbled 5.48% to $26.37, meaning Icahn's shares lost about $6 million. He quietly submitted his SEC filing about a week later. Insider trading? If so go ahead and fry him....BUT How come we didn't get the information on who profited and lost every time Obama made a move? Who lost in the Solyndra fiasco? Who won and who lost when he changed the health care system? and with all Presidents, who won and who lost on the many many wars we have fought recently. I'm all for having the press root out corruption...NO MATTER WHERE the hammer falls.